Unless you have your heart set on raising a street performer, reading to your toddler is important. Even if your child can draw a sizable crowd via the power of pop & lock, you have to be able to read to find a Coinstar. Paying utility bills in small change is frowned upon. 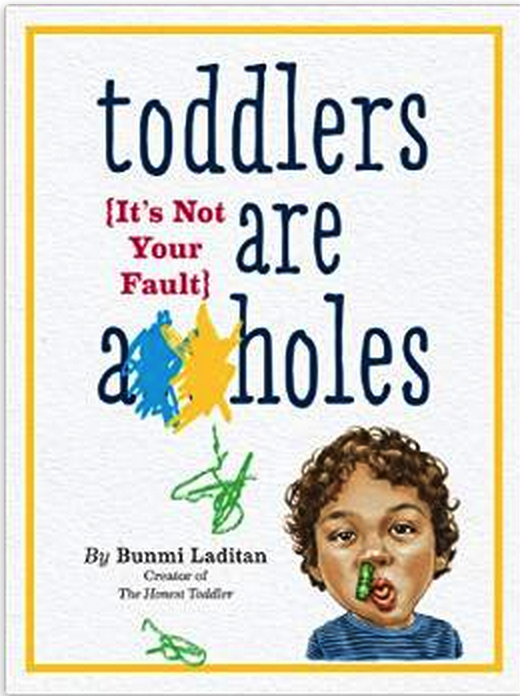 Below are reviews for toddler-appropriate books. In these hard economic times many adults have to make difficult choices such as buying fewer 100-calorie packs. Dr. Seuss prepares toddlers for this financial reality by introducing the idea of eating visibly expired meals. In this book a stranger harasses a passerby with spoiled groceries for about three days until he breaks. We don't get to see if he died shortly after from bacteria but it is implied that he did. This book is primarily about the dangers of discipline. When a young boy is berated by his mother and sent to his room he begins to hallucinate almost immediately. While his mother is downstairs on Pinterest looking at gel nails, he is upstairs quietly losing his mind. I'm very surprised that this boy snapped out of his episode. For dinner, he was treated to a bowl of Cream of Wheat-style hot cereal in case you don't already want to cry. If you love horror stories, this one is for you. Two-year old Peter learns the hard way that he lives in a very bad part of town when he leaves for a walk and almost never comes back. I found it odd that instead of being relieved that he returned at all, his mom was upset about the ripped coat. Because what is a young bunny without his smoking jacket. Check out that lean. That suit. That bling. Babar don't care. Before today I didn't know animals could have swagger. This book was basically an episode of Cribs for Babar and his rich elephant family. I didn't pay attention to the moral of the story but I think it was "too much rim make the ride too hard." Reading to your toddler will give you a sense of satisfaction that you can't get from Wife Swap or Doughnut Wars. Do your best to stay awake.